Netflix has emerged as the darling of streaming video, though not everything the streaming powerhouse touches has turned to platinum. When 21st Century Fox's (FOXA FX Networks chief executive John Landgraf told a gathering of the Television Critics Association last month that the current glut of television programming made finding compelling original stories "a huge challenge," he set off a flurry of discussion. Even The New York Times weighed in, writing about the not-so-golden glow emanating from a TV landscape crammed with 371 scripted shows produced by networks, cable networks and online services. Back in 2009, U.S. television produced 211 scripted shows. Subscription streaming content provider Netflix (NFLX remains one TV distributor that's contributed to that glut, with an increased penchant over the past several years for snagging original programming. "There's nobody else in this space that has the viewership they have," Andy Hargreaves, a senior research analyst at equity research and investment banking firm Pacific Crest Securities, said in a phone interview. Since Netflix debuted if first original show Lilyhammer in 2012, it's gone on to showcase dozens of original shows, from dramas such as award-winning female prison dramedy Orange is the New Black, political hit House of Cards and gritty superhero tale Daredevil to comedies and kids programming. But not everything Netflix touches turns to platinum. For every Orange is the New Black, there's a flop such as terribly reviewed, over-bloated period TV series Marco Polo. There might be some risk, too, in Netflix cutting ties with Epix, jointly owned by Lions Gate (LGF), Viacom's (VIA) Paramount and MGM (MGMB), and in turn losing its vast film catalog. Epix is taking its movie trove to Hulu. "Still, the price of Netflix is so cheap that you hang out and keep it," Michael Pachter, a research analyst at Los Angeles-based investment firm Wedbush Securities, said in a phone interview. "It's in trouble in that competitors such as HBO and Amazon own their content, and Netflix doesn't. I think Netflix will soon." Here are four Netflix-streaming original shows, from good to embarrassingly bad, showing that, amid an increasing array of TV shows, the Los Gatos, Calif.-based company still has to learn - like all providers - that too much content isn't necessarily quality content. 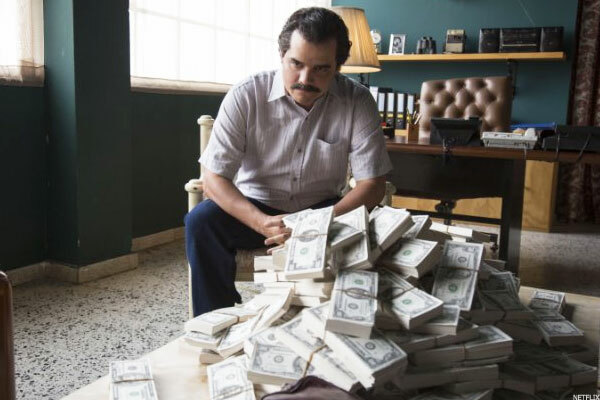 Clear winner Narcos, a drug crime drama based on the life and dealings of Columbia cocaine cartel kingpin Pablo Escobar and the drug enforcement agents in pursuit of him, premiered its first season in late-August to solid reviews. It grabbed a 76 out of 100 rating on CBS's (CBS) reviews aggregator website Metacritic. "Anything above a 70 Metacritic rating is good enough that people will watch it," said Pachter. Brazilian actor Wagner Moura plays Escobar with paunchy, sleepy-eyed venom, and the show is entertainingly gritty, quick-moving and yes, violent, with a documentary type style. While premium cable provider HBO has had a long stream of shows with an 80 and higher Metacritic rating, from fan favorite Game of Thrones to Boardwalk Empire, Netflix has only had a few, pointed out Pachter. 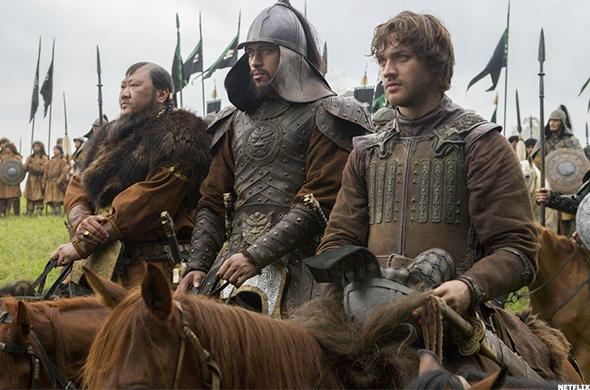 Marco Polo, which premiered last December, is not one of those high ranked shows. Its Metacritic rating is a measly 48. So why was the cheesy 13th century set Game of Thrones-aspiring drama about Mongol emperor Kublai Khan and explorer Marco Polo even greenlit? With its sword fights and campy dialogue, The Hollywood Reporter called it an "overstuffed, underbaked turkey." "Netflix is getting a look at everything, every script, now, because they're a checkbook," said Pachter. "When it comes to content, people compare Netflix with HBO in the same breadth, and it's like, 'Well, maybe in 30 years?'" 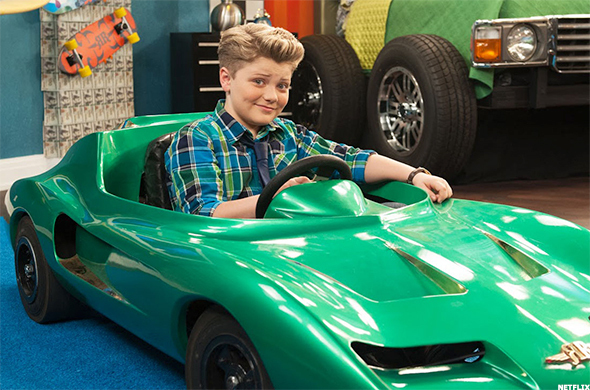 An addition to Netflix's kids originals series, live-action show Richie Rich premiered in February to dismal reviews, panned as a materialistic, sexist, overblown take on the 1960s billionaire boy comic book character and 1994 movie. With a human-looking robot maid dressed like a magazine centerfold in a French maid's outfit, the bright-eyed wealthy boy at the center of the show is touted as having a "heart of gold," and yet comes across spoiled and self-serving. As one Grantland.com writer put it, "Why has it [Netflix] allowed its reputation to be sullied by an unwarranted, unwatchable Richie Rich reboot it purchased, ostensibly sight unseen, from DreamWorks Animation's AwesomenessTV?" 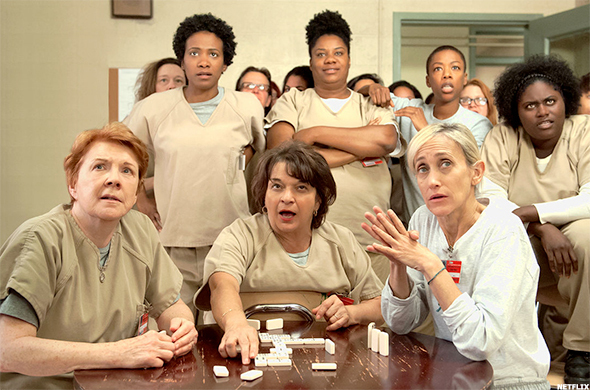 Created by Weeds showrunner Jenji Kohan, prison drama Orange is the New Black remains the shiny jewel in Netflix's original programming crown since first debuting three seasons ago in 2013, and also represents a bar for future content. With a blend of compelling storylines and diverse female characters - from a transgender prisoner to an emotionally unhinged inmate aptly named "Crazy Eyes" (a role actress Uzo Aduba grabbed a 2014 Emmy playing) - the show boasted an 89 Metacritic rating for its second season and an 83 for its third. "My favorite Netflix program is Orange is the New Black," said Pachter. "The Metacritic high 80s are special. You don't get that unless it's a really good show, and that's what Orange is the New Black is."